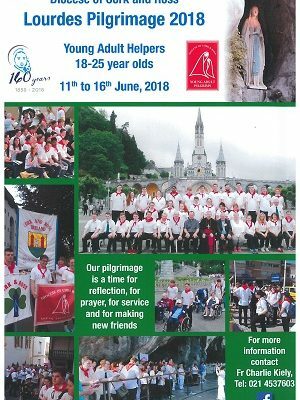 Application forms are now available to young adults (18-25) who would like to join the Diocesan Pilgrimage to Lourdes this June – 11th to 16th. Please contact Fr. Charlie on 021 453 7603 for an application form – this is for those travelling to Lourdes as a helper for the first time only.